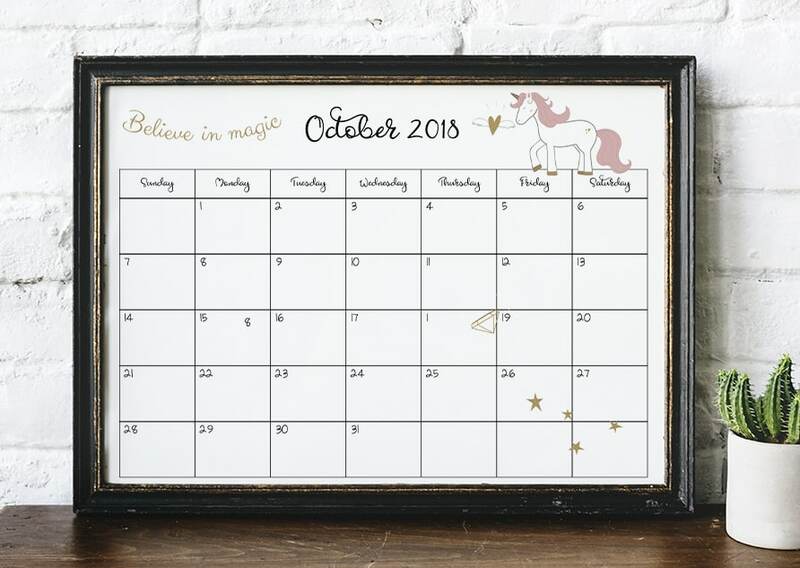 September is coming to a close. And October is upon us. You know what that means? 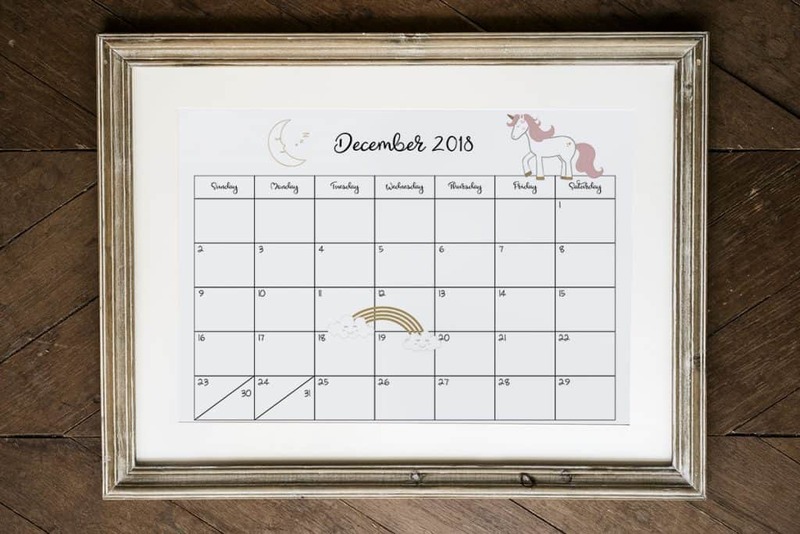 Lots of holidays and a new year. 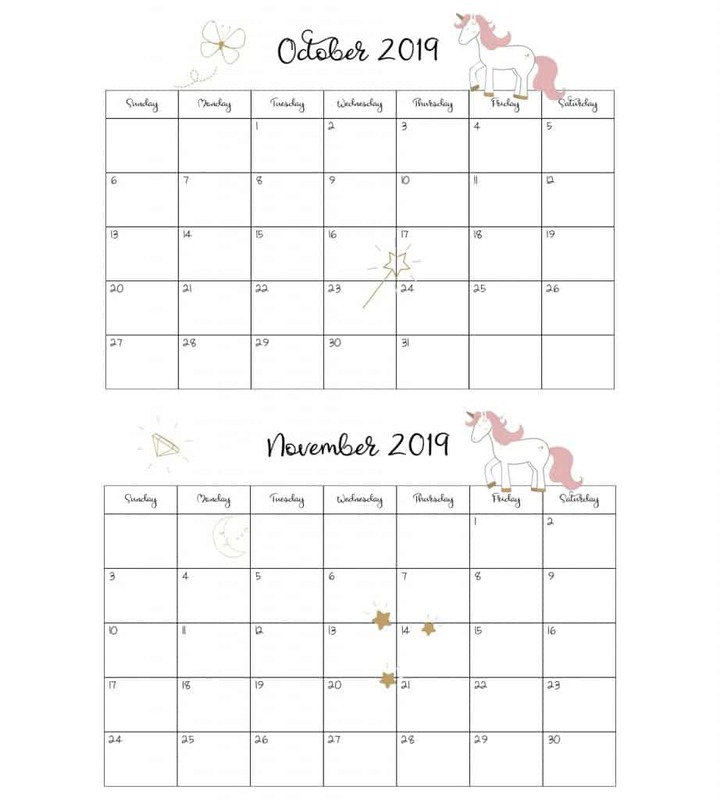 Instead of giving you a free October calendar printable, I’ve decided to do one from October 2018 to December 2019. I hope you enjoy it as much as I enjoyed making it. 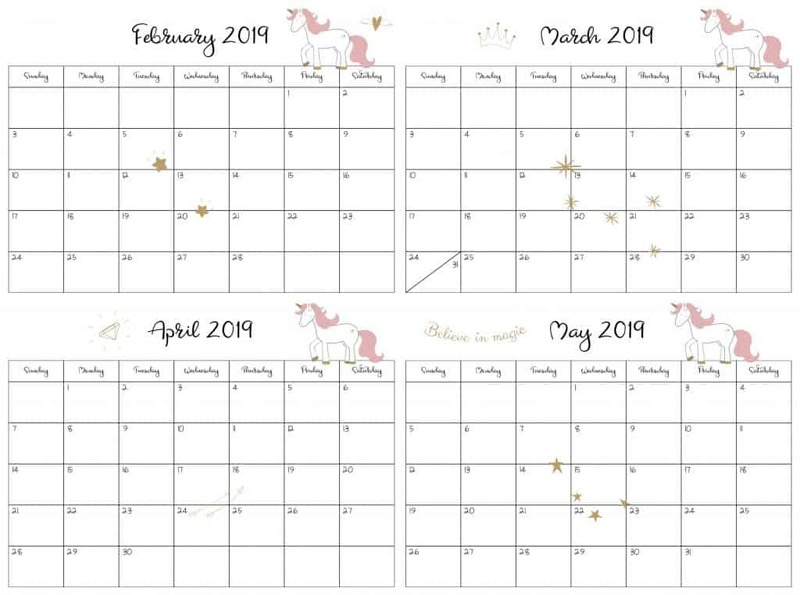 Who doesn’t love a free unicorn calendar? 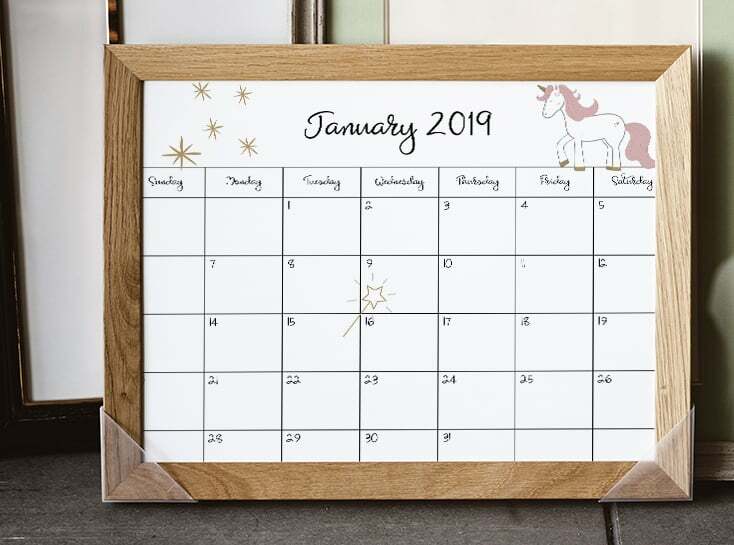 Here is a look at what the calendar look like. 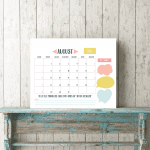 It’s a really cute and simple calendar. 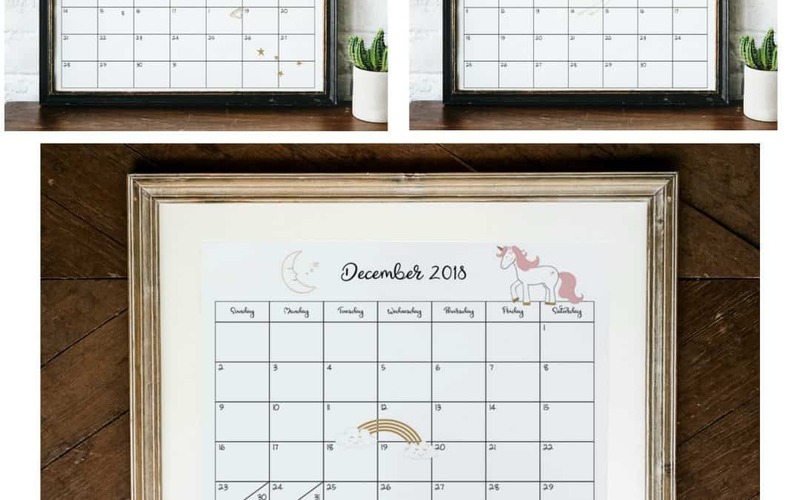 I love minimal calendar with just a touch of cuteness. This leaves you with lots of space to draw or doodle something cool on your calendar. 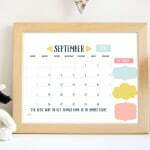 Grab your free October 2018-2019 calendar below. 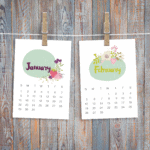 If you’re a newsletter subscriber, just log into the Printable Resource Library. 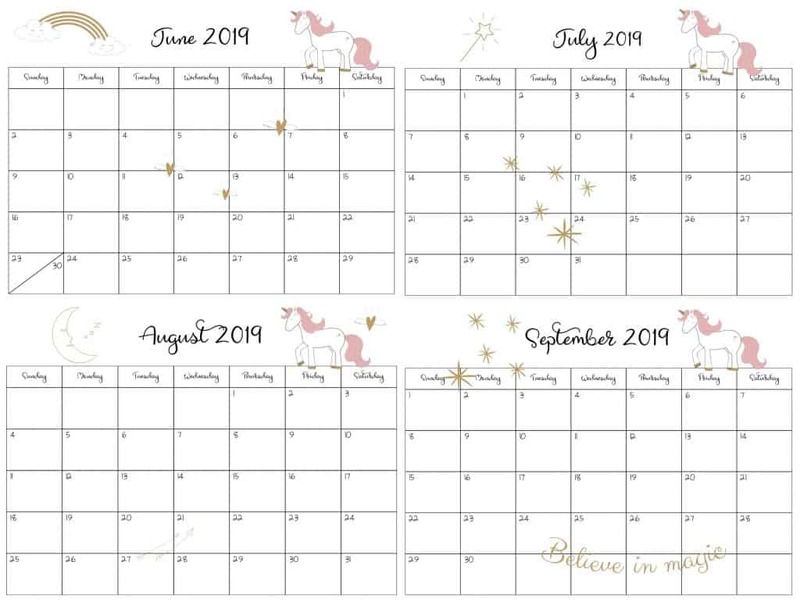 If you love this 2019 unicorn calendar please share or pin the image below. Thank you!